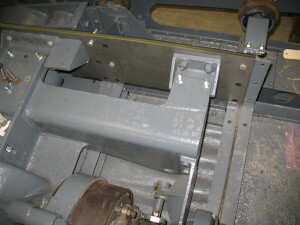 Attachments for the motor frame. To make it possible to install and test the drive train, we have mounted heavy plates which hold the brackets to the motor frame in the chassis. When the drive train is in place, we will have full visual overview of it and we can test it.safely. 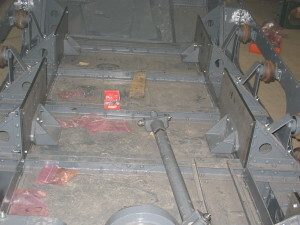 All brackets are in place. 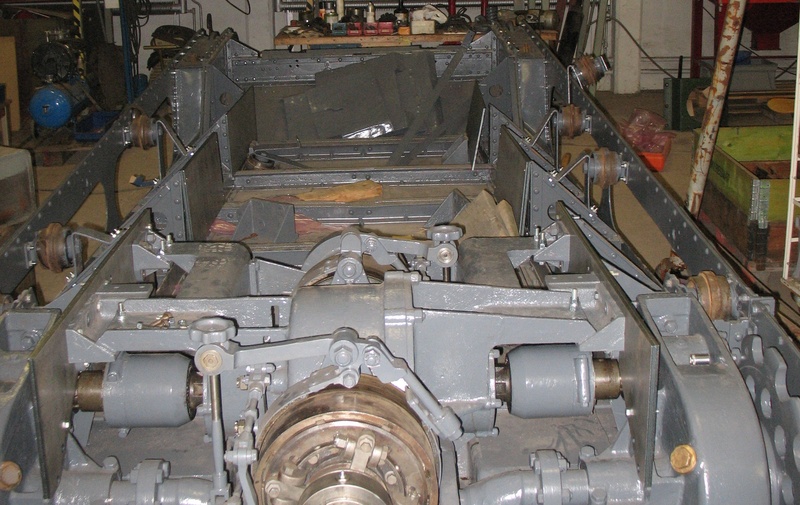 The bracket, which holds the steering gear and the power line, is mounted in the body. 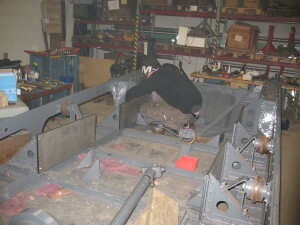 Therefore we need to mount some steel plates to be able to mount the brackets in the right place. 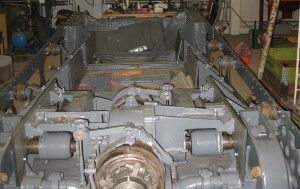 The steering gear is mounted and when the motor is mounted we are able to make a test drive the complete power line.